Whether you’re a dynamic duet or a family of rock stars, create beautiful tunes together on vacation in Mexico and the Dominican Republic. 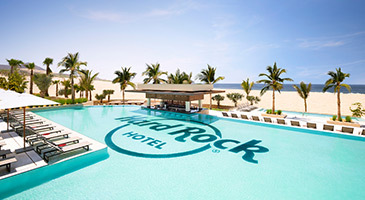 Savor the internationally inspired restaurants, glamorous spa and ocean views at the all-inclusive Hard Rock Hotels. Delta Vacations gives you more ways to rack up miles, and earn toward your Medallion® Status. SkyMiles® Members earn 3,000 bonus miles per person, in addition to credited flight miles, with a flight and all-inclusive Hard Rock Hotels package. 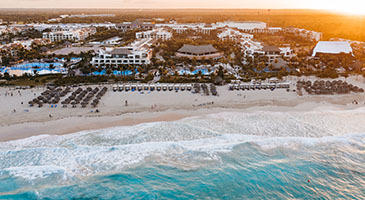 *Sample Pricing: This offer is available from hundreds of origin cities, but this price, which reflects the offer, is based on travel between Atlanta and Cancun, staying at the Hard Rock Hotel Riviera Maya in Riviera Maya. Price is per person, based on double occupancy and select Tuesday departures and Saturday returns, July 23 – 27, 2019, and is subject to change. Additional restrictions and baggage charges may apply. See Terms and Conditions for details. This resort blends luxurious style and substance with the spirit of rock ‘n’ roll. Find breathtaking ocean views, private balconies and designer rooms at this rock star paradise with a cosmopolitan flair. Located on the shores of Cabo San Lucas, this property boasts breathtaking views of the Pacific Ocean. Catering to modern travelers, this hotspot is truly a place to see and be seen. Onsite amenities include six restaurants, five pools with swim-up bars, three lounges and the Rock Spa®. Live large, Mayan style, on a family-friendly playground, including a private beach, a spa, Heaven and access to signature golf courses. Guests can enjoy nine restaurants, 10 bars, a night club, 24-hour room service, two outdoor family pools, one kids pool and three adults-only pools. Located on the beautiful beaches of Bahia de Banderas near Puerto Vallarta, this hotel takes everything to extremes — incredible views of the Pacific Ocean, modern amenities, chic rooms and decadent restaurants. The extravagance continues with golf, snorkeling, scuba diving, day cruises, deep-sea fishing and sailing. Grooving on a beautiful beach along the easternmost tip of the Dominican Republic, this hotel boasts lavish rooms with superstar touches like private balconies, modern decor and decadent service. Nonstop style brings harmony throughout a massive casino, full-service spa and the Little Big Club for kids. *Price is per person, based on double occupancy at Hard Rock Hotel Riviera Maya in Riviera Maya, between Atlanta and Cancun. Tuesday departures and Saturday returns via nonstop service on Delta and certain Delta codeshare partners, and is valid for specific travel dates July 23 – 27, 2019. Advance purchase requirements vary. Other travel days and dates and accommodations are available at other prices. May require travel on specific flights or times; blackout dates may apply. 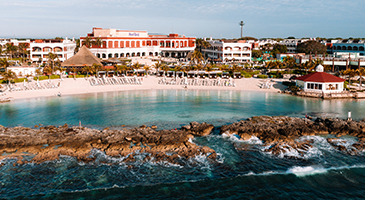 Purchase any Delta Vacations flight and hotel package from any Delta Vacations origin in the U.S. or Canada to Mexico or the Dominican Republic, April 1 – April 30, 2019, for travel April 1 – December 20, 2019. At time of reservation, you must refer to promotional code DV32744. 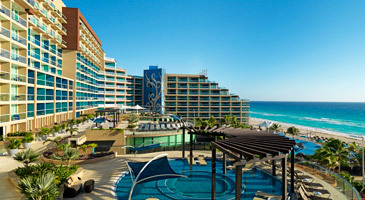 The hotel discount is based on the standard room charges of each of the participating hotels in Mexico and the Caribbean. Participating hotels include: Mexico: Cancun — Hard Rock Hotel Cancun; Los Cabos — Hard Rock Hotel Los Cabos; Riviera Maya — Hard Rock Hotel Riviera Maya; Riviera Nayarit — Hard Rock Hotel Vallarta. Dominican Republic: Punta Cana — Hard Rock Hotel & Casino Punta Cana. Enter promotional code DV32744 in the Promo Code/eCertificate box on the Booking page. 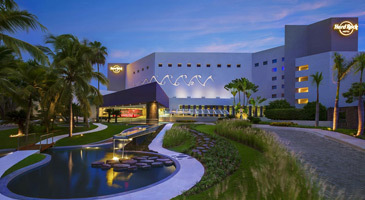 Valid at Hard Rock Hotel Cancun and Hard Rock Hotel Rivera Maya. Offer combinable with other offers. Savings are reflected in the price. Applicable to US & Canada Market Only. Applicable for new reservations of flight and hotel packages only. Applies to child rate. Reservations with overlapping dates qualify; discount will apply for nights within travel window. Promotion is subject to change. We reserve the right to discontinue this promotion at any time. All previously sent closeouts and inventory changes apply, and remain in place. Applicable to group bookings, without a group contract. Not applicable to reservations with employee rate, travel agent rate, FAMS, complimentary or compensatory stays. Each reservation with this promotion needs to be reported. A booking with multiple room reservations will qualify for credit. Book and travel by December 20, 2019. Book a Deluxe Platinum room for the price of the Deluxe Gold room. Book a Deluxe Diamond room for the price of a Deluxe Platinum room. Book a Deluxe Diamond room for the price of a Deluxe Gold room. Book a Deluxe Platinum Sky Terrance room for the price of the Deluxe Diamond room. Book an Islander Junior Suite for the price of a Caribbean Suite. Book a Rock Royalty Deluxe Platinum room for the price of a Deluxe Platinum room. Book a Junior Suite for the price of the Rock Royalty Deluxe Platinum room. Book by April 30, 2019, for travel September 7 – December 20, 2019. Savings are reflected in the rate. Offer only valid for new reservations of flight and hotel packages. Applicable to group bookings, without a group contract. Not applicable to reservations with employee rate, travel agent rate, FAMS, complimentary or compensatory stays. Offer subject to change.